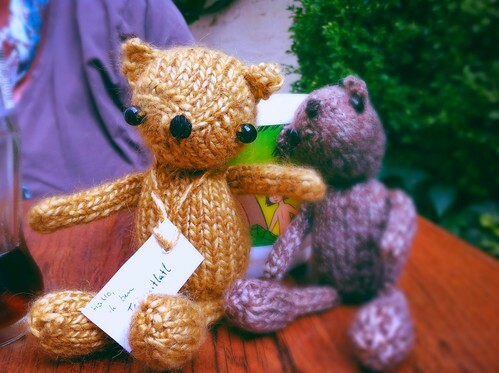 A year ago, I took Crazi Henri along when my crafty friends Rozemie and Karin took me to the international teddy bear and doll fair in Bruges. Karin fell madly in love for little Henri and asked if I ever had the time and felt like knitting another one, could she have one too? As summer progressed and we started making plans for another visit to that show, I started knitting. So 'Latl' it will be. 'Theo' sounded nice too though.... Latl sounds a bit like latté, and anything containing cafeine is ok.